Welcome! 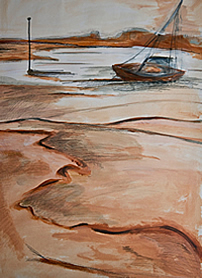 Please click on www.creativewayart.com to go to my exciting new website of Art Classes, Art Workshops, Art Courses, Art Retreats,Private Art Lessons,One-to-One Art & Photography Tuition,A-Level Photography Lessons,A-Level Art Lessons, Painting Holidays, Creativity Coaching,Distance Learning Art Courseson Norfolk Suffolk border! Welcome! My name is Zangmo Alexander. 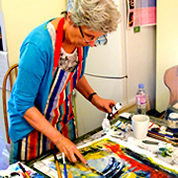 As a fully qualified, experienced Art Teacher, Life Coach, Creativity Coach and Artist, I offer one-to-one, totally personalised Drawing and Painting Art Courses, Photography Courses, Art Workshops, Creativity Coaching sessions, Art Classes and Art Lessons to help you free your creativity, increase your confidence, explore creative ideas of personal interest and experiment with different ways of expressing yourself. Have fun learning to creatively and playfully explore and experiment with a wide range of art and photography media, including pencil, soft pastel, hard pastel, oil pastel, charcoal, ink, watercolour pencil, watercolour paint, watercolour crayons, acrylic paints, oil paints, gouache, mixed media, collage, encaustic, Photoshop and photomontage. 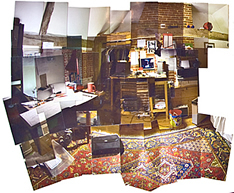 Digital photography and Photoshop lessons on the computer are approached from a creative viewpoint with the minimum of techno jargon. All art and photography workshops, classes, art lessons, art courses and creativity coaching sessions are completely personalised to meet your individual needs and aspirations. 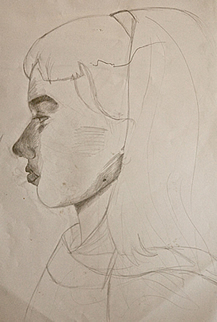 Drawing, painting and photography tuition happens in very small, informal, friendly groups or one-to-one, so you can benefit from lots of encouraging, knowledgeable, individual guidance which is focused on your own personal needs, interests and aspirations. Such personalised learning with a tutor who has over 28 years' experience in colleges, schools, in the community and privately can really help you develop easily and enjoyably at your own pace. Art and Photography Tuition and Creativity Coaching are also available by email, Skype, phone and distance learning. I am also able to travel nationally and world wide by invitation. Sometimes less than helpful emotions or thoughts get in the way of our creativity, resulting in procrastination, blocks, resistances, frustration, anxiety and depression. This is when creative life coaching techniques can be very helpful in enabling us to move forward. As a qualified coach, I am able to offer creativity coaching using a range of methods from mindfulness, art therapy, and life coaching. Who are these Art & Photography Courses, Workshops, Individual Tuition and Creativity Coaching sessions for? Everyone is welcome, from complete beginner to experienced and professional. 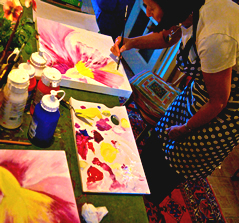 Some art workshops are specifically for beginners and others are more open access. 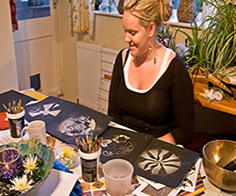 All one-to-one art and photography lessons and creativity coaching sessions are completely personalised to meet your own individual interests and needs. An exciting range of creative Art or Photography weekend workshops in TINY GROUPS runs throughout the year. Personalised, tailor made Art Workshops at a time to suit you and your friends are also offered - just phone me, Zangmo, on 01379 687360 to discuss possibilities. Enjoy time away from it all in the Norfolk countryside exploring any aspect of Creativity, Art or Photography that interests you. Your art or photography break can be as short or as long as you want, at a time that suits you, and above all, it is individually tailor made to your own personal needs and interests. 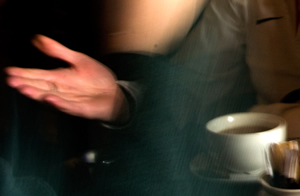 One-to-One Art and Photography tuition can be at different times to fit in with your other commitments. You can learn at your own pace, and have a session as little or as often as you want. One-to-One sessions are Pay As You Go, so you don't have expensive termly fees to pay in advance. If you are unable to visit Norfolk, I offer a Beginners Distance Learning Drawing Course and I can also design a bespoke Distance Learning Art or Photography Course to meet your own individual needs and interests. Distance or blended learning is available by Skype, email, post and phone in combination with occasional in person day or 2 day workshops - this can work really well to keep you motivated and feeling supported. Since all learning is personalised, we can work flexibly together to create the learning experience which is right for you as an individual. Alternatively, I may be able to visit you to run an Art or Digital Photography workshop at home or in your centre either just for you, or for your group. 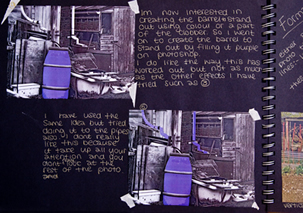 A Level Art or Photography tuition and courses are offered, as one-to-one art or photography lessons. Extra support is ideal for improving your A Level art or photography exam grades, for home educators looking for art or photography tutoring, or for adults who want to gain a nationally recognised qualification in a creative subject and increase their enjoyment, understanding, skills and grade in art or photography exams. If you are interested, phone Zangmo on 01379 687360 to discuss options and find out more. Art or Photography Tuition Gift Vouchers are available for anything on this website. Please contact Zangmo on 01379 687360 to discuss your requirements. Uniquely, I also offer individual art and creativity sessions and workshops for self discovery, self expression and personal development. These include combining art and photography with mindfulness and meditation, Art Journalling and Mandala Painting. Everyone is welcome and no previous art experience or abiliity is needed. I am able to travel to give art workshops to your group or organisation nationally and internationally. Please phone me on 01379 687360 to discuss your needs.